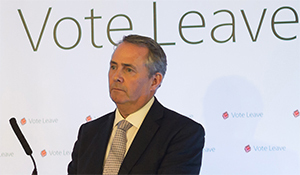 Liam Fox wants to boost UK imports. Although Liam Fox made headlines for commenting that British businessmen are too fat and lazy to succeed in exporting, less extensively reported remarks by the UK’s international trade secretary about foreign direct investment (FDI) hint at a significant change in policy. The UK attracted 1,065 FDI projects in 2015, up 20% from 2014, and increased its market share to 20.9% from 19.9%, confirming its position as European leader of FDI. The EY UK Attractiveness Survey 2016, however, shows that investors are growing less keen on the UK. Although the survey was conducted before the Brexit vote, 79% of foreign investors cited access to the European Single Market as a key feature of the UK’s appeal, and recommended a more integrated approach to trade and FDI.